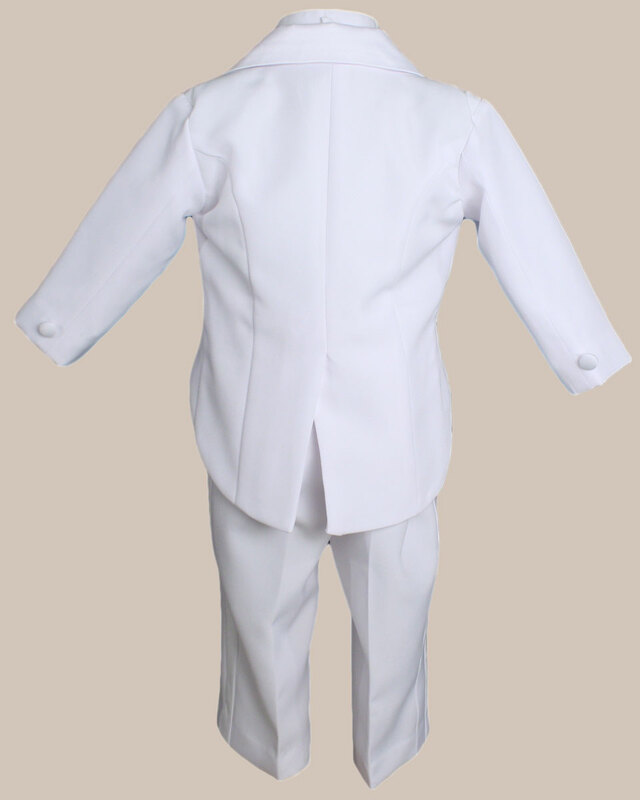 The fully lined single breasted jacket features 6 front fabric covered buttons and 2 single fabric covered sleeve buttons for style. The jacket also features fashionable satin peak lapels, single front breast full pocket, and a single split tail in the back. The pants feature a white satin stripe down the sides of each leg, an elastic waistband for added comfort, and two full pockets. 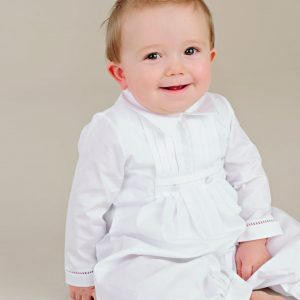 A white pleated dress shirt features a wing tip tuxedo collar and 2 removable dress button studs for added style. 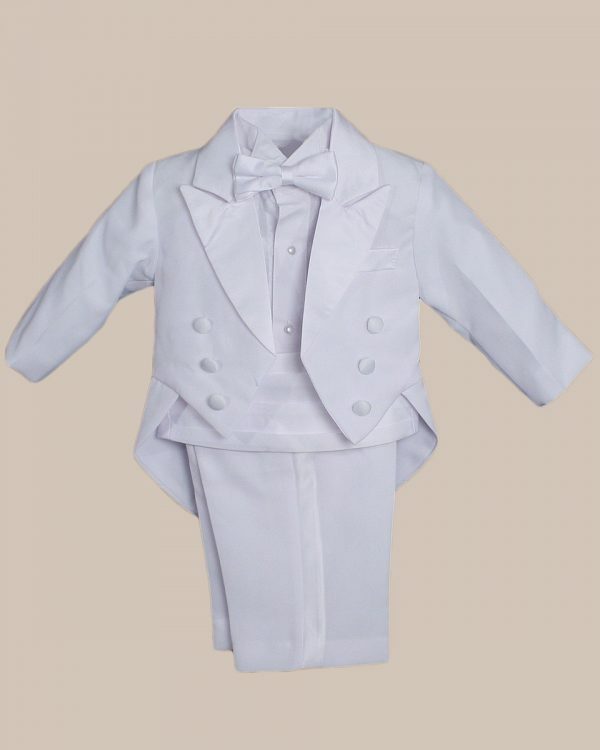 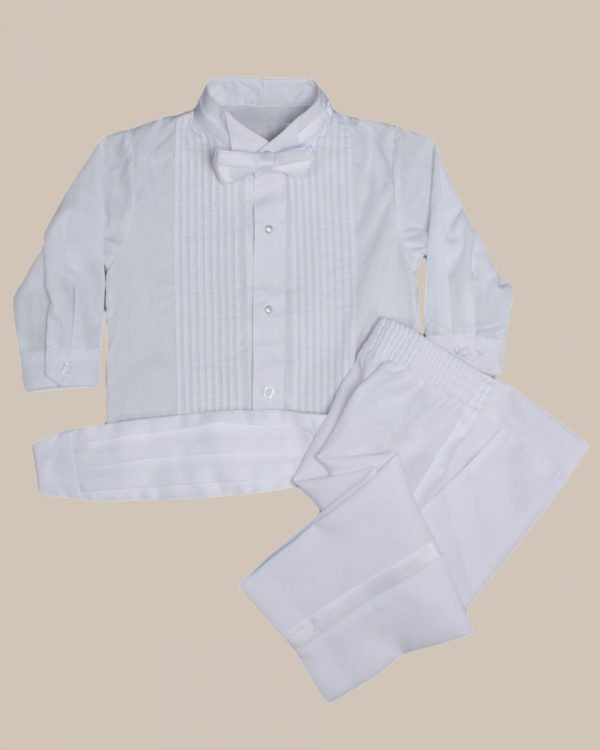 The included white satin cummerbund with adjustable velcro in the back, and the preformed adjustable clip in the back white satin bowtie finish this handsome 5-piece tuxedo suit set off perfectly. 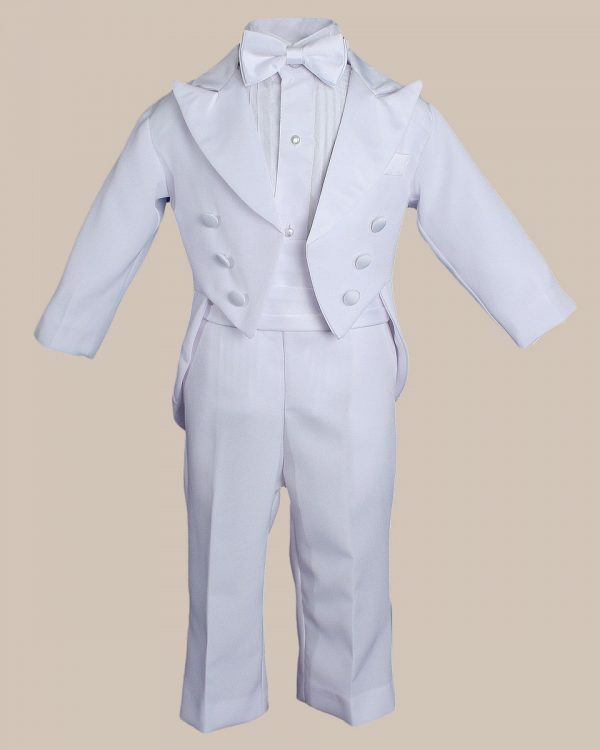 This is a great suit for your little ring bearer. 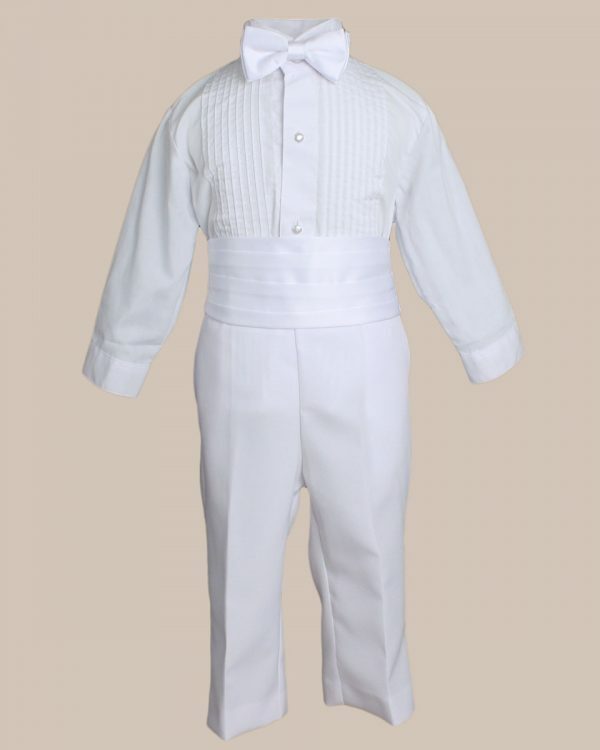 It is also ideal for their band or orchestra concert, weddings, funerals, school dances and parties.